Every robot has to have operators who oversee it 24 hours a day. Should anything go wrong or break down, an operator needs to be on top of the situation immediately. Working in shifts around the clock, they ensure everything goes smoothly. The technology associated with robotics is growing. According to an article in The New York Times, more and more robots will replace humans in everyday tasks and jobs, with the need for more and more robotics engineers, technicians and others in the field on the rise. Mechatronics is one of the world’s largest high-tech manufacturing corporations, is a leader in complex technologies, particularly in complex systems integrating electrical, mechanical and computer engineering. The marriage of these three engineering fields, better known as mechatronic systems, plays an ever-increasing role in technology: from your car to your household appliances, from public transportation systems to electric power generators, in short, almost every aspect of daily life. The average base pay for a Robotics Technician is $50,400 annually. A skill in machine programming, maintenance and manufacturing is associated with high pay for this job. Experience has a moderate effect on salary for this job. A controls / automation technician earns an average base wage of $69,000 annually. The skills that increase pay for this job the most are experience and knowledge of multiple control systems. 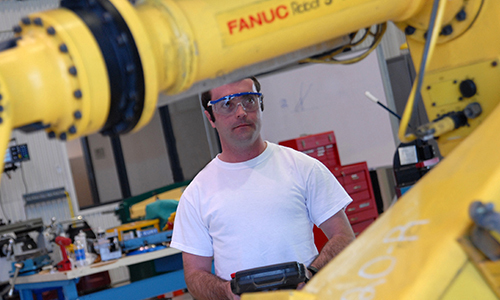 The average base mechatronics technician salary in United States is $56,740. Base salary does not include overtime or benefits. Career opportunities in our area include Polaris, Deshazo, Toyota, 3M, and Nucor.